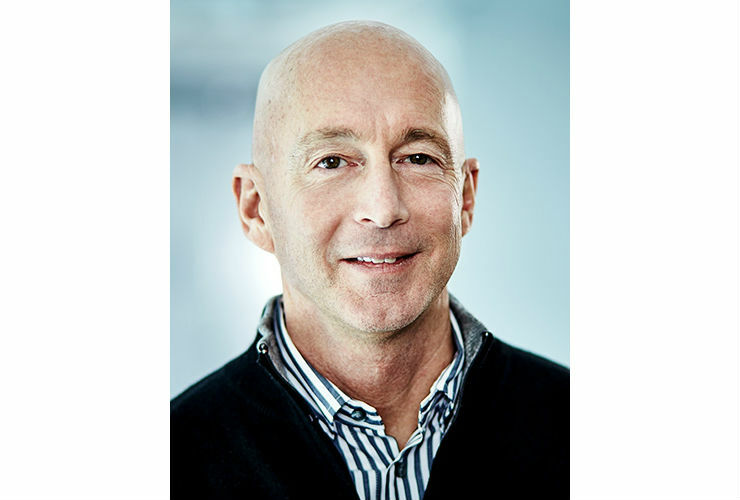 Biogen’s top research and development executive Doug Williams is leaving the company this month to take the helm at a startup that doesn’t yet have a name, Biogen announced today. Williams, who joined Biogen in 2011, is being replaced for now by the company’s chief medical officer, Alfred Sandrock, and its chief science officer, Spyros Artavanis-Tsakonas. At the new startup, Williams will be the first employee. According to Biogen, the startup’s focus is cancer diagnostics and therapy, an area that Biogen abandoned five years ago. This isn’t Williams’s first foray into running a business. Before Biogen, he worked at biotech stalwarts Seattle Genetics (NASDAQ: SGEN), Amgen (NASDAQ: AMGN) , and Immunex, all in R&D leadership roles. Previously he worked in academia. It was at ZymoGenetics, another Seattle-based company founded in 1981, where he truly got a taste of executive leadership. Williams started at the company in 2004 as chief science officer and the head of research. In 2009, he moved up to CEO, and in 2010, he sold the company to Bristol-Myers Squibb (NYSE: BMY) for $885 million. Williams had his share of ups and downs at Biogen and in his career prior, as Xconomy reported in a profile and a separate Q&A with the executive in 2010. After he helped sell ZymoGenetics to Bristol, there was hope he would remain in Seattle. “He can do anything he wants, from CEO, startup, to VC. Hopefully he stays here! I would back him any day,” Bob Nelsen, managing director with Arch Venture Partners in the city, said of Williams at the time. Williams instead decided to return to his research roots by taking the job in Boston at Biogen. In a 2011 interview with Xconomy, Williams explained his decision. During his first years at Biogen, Williams performed what Xconomy described as “major surgery” on the company’s R&D pipeline. He cut 17 drugs from the pipeline and focused on developing drugs such as BG-12, a multiple sclerosis treatment that was the company’s first MS treatment to be approved in almost a decade in almost a decade. It won FDA approval in 2013. After paring down the pipeline, Williams oversaw a gradual re-expansion. Biogen remained a leader in MS, pushing efforts in a treatment, for example, that could repair nerve damage and possibly reverse the course of the disease. Williams also oversaw high-profile work in Alzheimer’s disease. In March, Xconomy reported on Biogen’s plan to move a monoclonal antibody called aducanumab into a Phase 3 study. The one area Biogen has not re-entered under Williams is oncology. The company dramatically shed its San Diego-based cancer R&D group in 2010 when CEO George Scangos took over, and under Williams, it never looked back. That makes Williams’s new move, to what Biogen describes as a cancer-centric company, all the more intriguing.